Our Clients – Quality Computer Services, Inc.
Quality Computer Services has hundreds of clients that have depended on our service for the past 2 decades. In today’s economic environment, it’s extremely important to develop a relationship with a service company that understands how critical technology is to business success. Quality Computer Services has hundreds of clients that have depended on our service for the past 2 decades. We have developed partnerships with our clients where they know that they can depend on us for all of their technology needs. Rich [from QCSI] was a life-saver! He was able to find my recovered Binder file, and cleaned up a few other things on my Surface that he saw. He also created a short-cut for my Documents so that I can continue to place things on the server here...Thank you again for your help." Chief Financial Officer, Anderson Interiors, Inc.
"In looking to cut costs and to improve our information technology support, we recently chose to go with Quality Computer Services, Inc. They not only made our change over very cost efficient, but they also take a proactive approach to technology that keeps our current system working for us while helping us to stay aware of where our technology should be heading. Their service department is very capable and they are friendly and professional to deal with!" "For approximately 20 years Quality has maintained our computer hardware, so when our company was ready to hire a Network Administrator a few years ago, we were relieved that Quality was able to provide that service also. 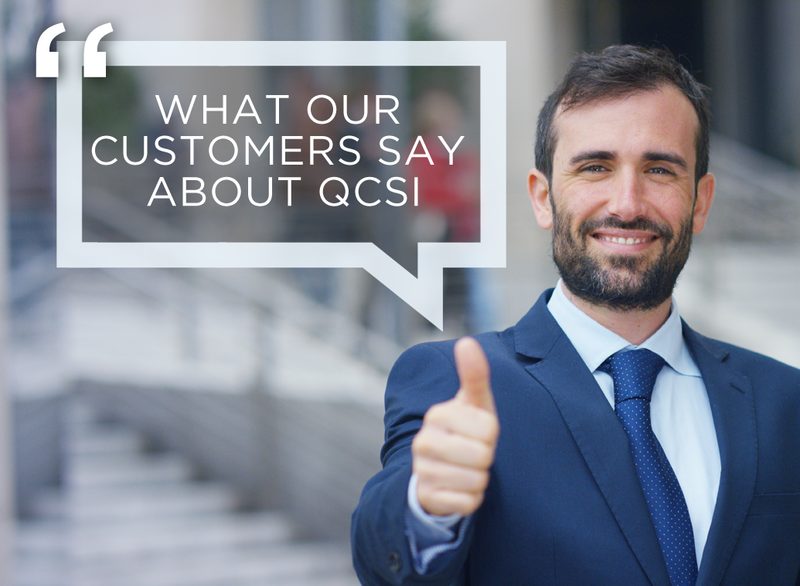 Quality’s staff is knowledgeable, professional and accessible, and their turnaround time on system updates and incidents is remarkable. The staff takes a very “hands on” approach so that even when a problem does occur, I never feel alone. I can rely on them to provide me with information and an explanation of any new technology that would benefit our company in a manner that I can understand. Because Quality Computer is such an asset to my business, I have and will continue to recommend them to anyone interested in the type of services they provide."